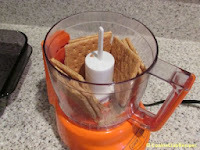 This recipe has caused me to have a lot of friends! 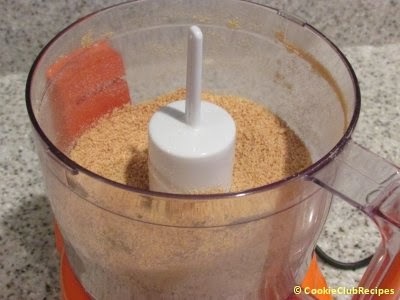 How to Make Pumpkin Pie Spice... mix together 1 tsp. ground cinnamon, 1/2 tsp. ground ginger, 1/4 tsp. ground nutmeg, and 1/4 tsp. ground cloves. (I always omit the cloves, don't ask why, it's a long story that goes all the way back to my childhood. Ha) And, if you're like me, you never buy pumpkin pie spice anyway. It truly is okay to add more or less for any of the spices, as you desire. I often add a little more cinnamon too, just when I'm feeling really cinnamonly! Mix all 3 ingredients together with a fork, directly in baking pan. Press crust down evenly and chill for 30 minutes.Since these bars will be baked in the oven, the exact chill time is not critical. 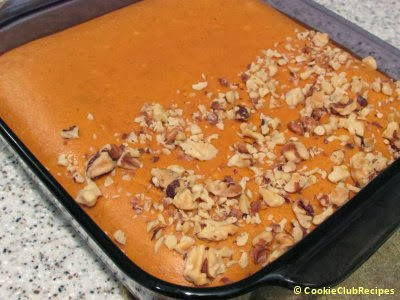 Just chill the crust in the fridge while you're preparing the pumpkin cheesecake filling. This makes a perfect graham cracker crust for an 8x8-inch square baking pan. 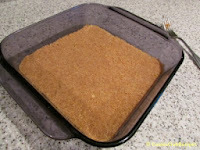 If using a larger baking pan, increase recipe to make a larger crust. 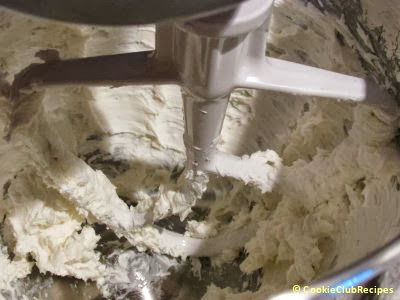 Beat the cream cheese in a bowl until fluffy. 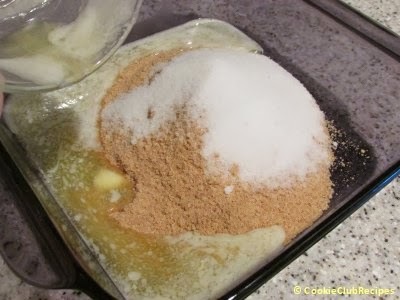 Then add the sweetened condensed milk. Mix thoroughly. Slowly beat in the eggs. Next, add the pumpkin and spice. 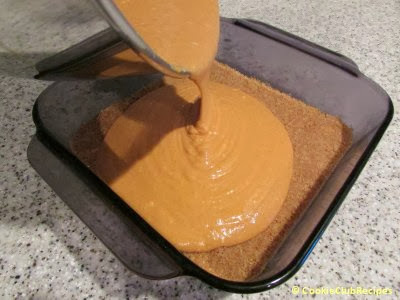 Pour mixture into 8-inch baking pan prepared with graham cracker crust. Bake at 350 degrees for about 20 minutes. 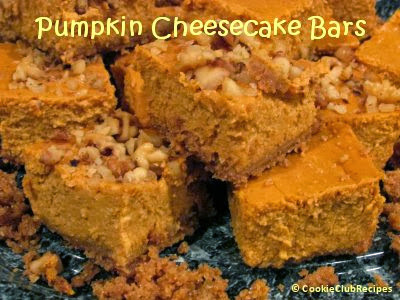 Gently remove from oven and sprinkle chopped nuts on top of cheesecake (if desired). 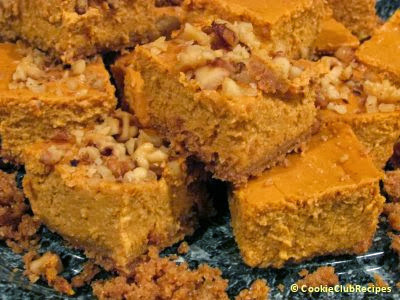 Editor's Note: For those that don't like nuts, we only sprinkled them on half. They are delicious either way! Bake for another 20-25 minutes. Let cool completely. Then cut into squares. These taste wonderful at room temperature or chilled.